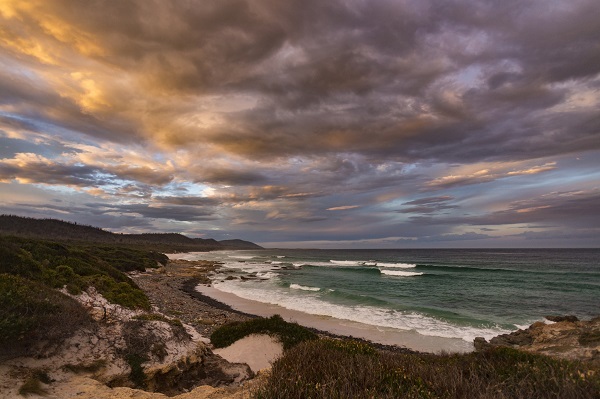 Home Destinations	Are These Some of Australia’s Best Secret Beaches? It is no secret that Australia is home to some downright spectacular beaches. Think the the iconic Whitehaven Beach near Hamilton Island, the instantly recognisable Sydney beaches of Bondi and Manly, or the rugged beaches of Victoria’s Great Ocean Road. These stretches easily rank as some of the best beaches in Australia, and while there’s no denying that these beaches are beautiful; they’re certainly no secret. Here, we shed light on some of Australia’s lesser-known beaches; some are remote and some are tightly-held local secrets. Get your feet sandy on one of these shorelines on your next trip to Australia. 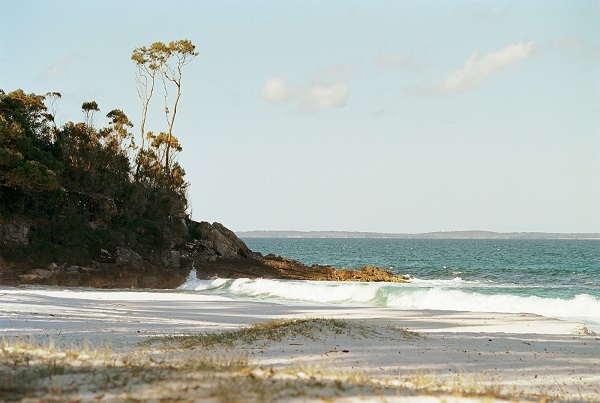 You may have heard of Jervis Bay’s famed Hyams Beach; after all, it has the whitest sand in the world, according to the Guinness Book of Records. But just a 30-minute walk along the coastline – a world away from the hustle and bustle of Hyams – is one of the region’s best-kept secrets: Greenfield Beach. It’s a beach that is as equally as stunning as Hyams, boasts sparkling, aquamarine waters, small waves and just happens to have a shore-load of its own dazzling white, soft powdery sand. So while hordes of beach-goers fight for towel space over at Hyams, you’ll have all of pristine Greenfield to yourself. Nudey by name, but not by nature. Rest assured that Nudey Beach is not the locale of a secret nudist beach colony; rather it’s a tiny patch of tropical bliss where the rainforest meets the reef. Accessible only by foot, Nudey Beach is tucked away on Queensland’s Fitzroy Island, which lies just off the coast of Cairns. Sheltered by lush greenery and huge rock formations, with bath-warm waters lapping at the pure white sand, Nudey Beach is just a 15-minute trek from the island’s main resort, yet somehow manages to feel a million miles away from civilisation. Visitors to Victoria’s Wilsons Promontory are spoilt for choice when it comes to secret beaches, with hidden coves and secluded bays dotted right along the national park’s coastline. 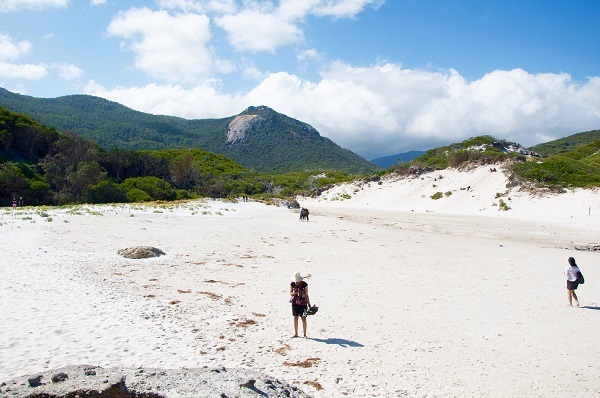 If we had to choose just one though, there’s no going past the spectacular Squeaky Beach. With quartz sand particles so tiny they squeak when you walk upon them (hence the name) and giant orange-stained granite boulders to scramble across, Squeaky Beach is the closest thing The Prom has to a natural playground. With water so blue you’ll be rubbing your eyes wondering if the sight in front of you is real, South Australia’s Memory Cove is a sheltered inlet offering a quiet escape from the urban world. Thick vegetation surrounds the bay, allowing it to act as a protected sanctuary for the rare flora and fauna species that call this wilderness area home. The best bit, however, would have to be how private Memory Cove is. In fact, access to Memory Cove is only granted to 15 vehicles per day – that means you’re pretty much guaranteed to have the entire beach to yourself. Which is ideal really, because this little slice of coastal heaven deserves to be preserved. Beaches don’t come much more far-flung than Western Australia’s wild Cape Leveque. 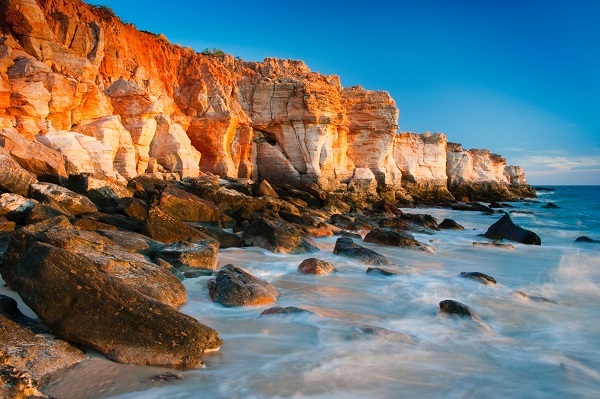 Located on the very northern tip of the Dampier Peninsula, more than 200 kilometres from Broome, the Cape is well worth the journey. Upon arrival, explorers are rewarded with a dramatic panorama of jagged sunburnt cliffs juxtaposed against sparkling, white-tipped cerulean waters. It’s also an ancient, untouched landscape, with an Aboriginal history that dates back some 7,000 years. Spend your days swimming, snorkelling, fishing and hiking the clifftop trails, and we guarantee it won’t be long before you fall in love with the Cape. Between Bondi and Bronte, Cronulla and Coogee, you’d be forgiven for thinking there’s not a secret strip of sand left in all of Sydney. But we’re here to tell you that’s not quite true, and that there’s actually a hidden gem nestled away on Manly’s northern beaches. Store Beach resembles a deserted island cut off from the mainland. As part of Sydney Harbour National Park, the only way to reach this isolated paradise is via boat or kayak. So get paddling, because this inner city oasis is unlikely to stay confidential for long. Tasmania’s glorious Friendly Beaches has the popularity of nearby Wineglass Bay to thank for flying under the radar for so long. Concealed just off the entrance to Freycinet National Park, Friendly Beaches is easily missed by visitors racing right past. But with glittering ocean waters and a seemingly never-ending stretch of shoreline, the beauty of Friendly Beaches could give Wineglass Bay a run for its money. With perfect conditions for fishing, surfing and long strolls along the sand, what more could you want from a secret beach? Ready to pack your beach umbrella and explore one of these lesser-known sandy stretches? Book cheap flights to Australia with Webjet and be on your way to feeling the sand beneath your toes in no time at all.